The Advocacy NetworkAdvocacy BlogDemographicsMany Scams are Legal! Investors are financially victimized with regularity. Unfortunately rarely do they recognize it. One of the great financial victimizations has long been the mutual fund. Its called fees and expenses, these two little words account for billions of dollars that go to the funds without any risk taking whatsoever. Even better then the house in Vegas these investment vehicles have long been draining money out of investors pockets with impunity. Let’s take a look at how this happens. In a recent Forbes magazine article “The Real Cost of Owning a Mutual Fund” the author peeled the onion and came up with an incredible revelation. He determined the average cost of owning a mutual fund is 3.17% annually. At first glance the majority of the investing public neglect to fully understand what this means to their long term investing success. The magic of investing has long been the simple concept of compounding. Interest compounding upon itself helps to create exponential growth. But many people somehow come to the conclusion that compounding only works in one direction. The sad reality is compounding works in both the upward climb and the downward spiral. All the studies on the financial markets have shown that the quest for Camelot is the pursuit of beating the market. picking stocks and outperforming the market is the age-old quest for magnificent wealth. Sadly the truth is 96% of all actively managed mutual funds (stock picking) do not beat the market. As such your losses are not simply weighed in poor performance but they are compounded by the fees you payout that never ever go to work for your best interest. Imagine fund managers telling you they serve your best interests via what is termed a fiduciary standard. Under this promise these investment professionals are supposed to treat your interests as their own. Do no harm, protect your investment capital, ensure that they never take on any conflict of interest, you get the idea. Yet they line their pockets with fees regardless of performance. even if they lose they win. Does this sound even remotely reasonable to you? There is a service that may help calculate fees on your funds or the funds you may be interested in. Check out www.personalfund.com and use the cost calculator to get an idea of the hidden fees. Here is a small list of the fees that are mentioned in a prospectus (which is usually the size of a small dictionary, intentionally so no one ever has the patience or time to read it closely). 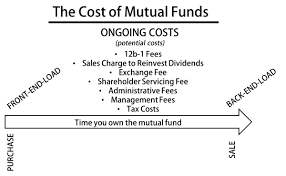 Asset management fees, 12b-1 fees/marketing fees, trading costs (including but not limited to brokerage commissions, spread costs, market impact costs), redemption fees, soft dollar costs, account fees, purchase fees, record-keeping fees, plan administration fees, yada, yada, yada. Its a never ending pile of heaping ——. Add it all up and your investment capital has to earn approx. 4% return annually just to break even. Sounds like nothing but the truth is there are years the market has zero or negative returns. imagine the years when your investment capital suffers a negative return and losses an additional 4% that can and is NEVER recovered. You are being victimized, of course its fully within the law and no one is acting unlawfully but they are certainly scamming you. Always keep in mind that 96% of these funds never beat the market, never as in never ever. Yet each year they take their 4% or so in fees. Its death by a thousand cuts. How can you beat this victimization? That’s an education for members to enjoy.